Highly regarded as both a leading practitioner of conceptualism and an influential educator at the California Institute of the Arts, Los Angeles-based artist Charles Gaines (American, b. 1944) is celebrated for his works on paper and acrylic glass, photographs, drawings, musical compositions, and installations that investigate how rule-based procedures influence representation and construct meaning. He has had over 80 one-person shows and several hundred group exhibitions in the US and abroad, including at the 2007 and 2015 Biennale di Venezia. In 2015, he presented a critically acclaimed retrospective exhibition at the Studio Museum in Harlem and the Hammer Museum. 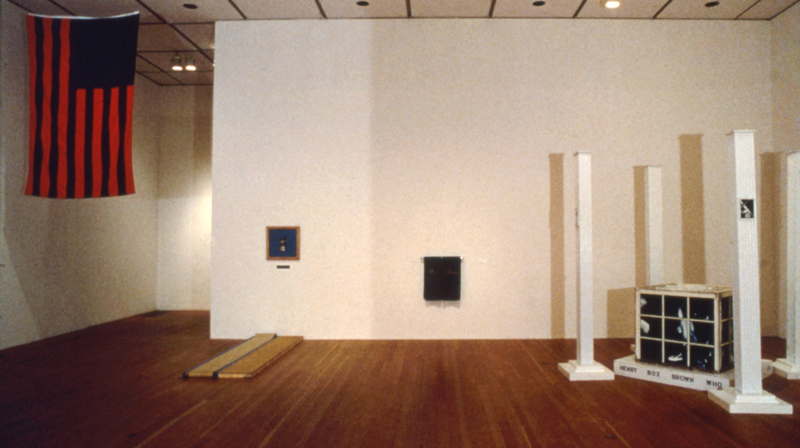 Gaines’ work is collected internationally and at major institutions, including at the Museum of Modern Art (New York), Whitney Museum of American Art, and the Los Angeles County Museum. He was the 2018 honored recipient of the REDCAT award. He is represented by Hauser & Wirth and Galerie Max Hetzler. John Tain is Head of Research at Asia Art Archive, where he leads a team of researchers based in Hong Kong, Delhi, and Shanghai, with projects spanning all of Asia. Previously, he was a curator for modern and contemporary collections at the Getty Research Institute, where he developed collections related to artists including Ed Ruscha, Allan Sekula, Faith Wilding, and Tetsumi Kudo. His writings on Rirkrit Tiravanija, Wu Tsang, Charles Gaines and Kara Walker, among others, have appeared in Artforum, The Brooklyn Rail, Flash Art, Art Review Asia, and in other publications, and he is a series editor for Afterall’s Exhibition Histories series. His exhibition, co-curated with Jasmine Alinder, Someday, Chicago, on the Japanese-American photographer Yasuhiro Ishimoto, was on view this past fall at the DePaul Art Museum as part of the Terra Foundation for American Art’s “Art Design Chicago” initiative.